Here's a peek at one of the cards I've created using a set from Flourishes that will be release on Wednesday...check back on Wednesday for the full card. 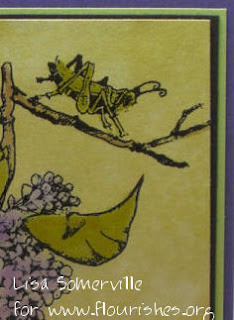 Lisa, love your grasshoppper -- can't WAIT to see the rest of your card!!! !